Some manufacturing workers like their jobs super-sized. Structural metal fabricators and fitters construct enormous metal objects, from tanks and water towers, to frames for buildings and bridges. Though the projects can be massive, the work is quite precise. Following blueprints or drawings, they develop patterns to build metal parts. They use a broad array of hand, electric, and hydraulic tools to align and fit parts to specifications. They use special machinery to cut the metal into the required pieces or plates. Other equipment is used to punch, roll, or straighten the pieces before they are fastened together. After determining the sequence of tasks needed to fit all the parts together, they weld, bolt, or rivet the units to assemble parts into a whole. They may operate hoists or cranes to move large parts. Fabricators and fitters often work indoors in huge, noisy environments. Installation at outdoor construction sites may require work in extreme temperatures. Some jobs may also require being away from home for long periods of time. A high school diploma usually meets the requirements to get a job as a helper, or to enter a training program or apprenticeship for this career. Math, construction, and mechanical knowledge are a foundation in this field. You need to be in good physical condition to handle the heavy lifting and climbing this career demands. Many tasks are performed high up on scaffolds or in cramped spaces. Fabricators and fitters need to be able to use their tools and machines steadily and surely at any height. Protective gear is usually required. Metal is a versatile, durable material that can be bent and formed into just about any shape. Fabricators and fitters have the satisfaction of knowing that what they create today will still be in use for generations. 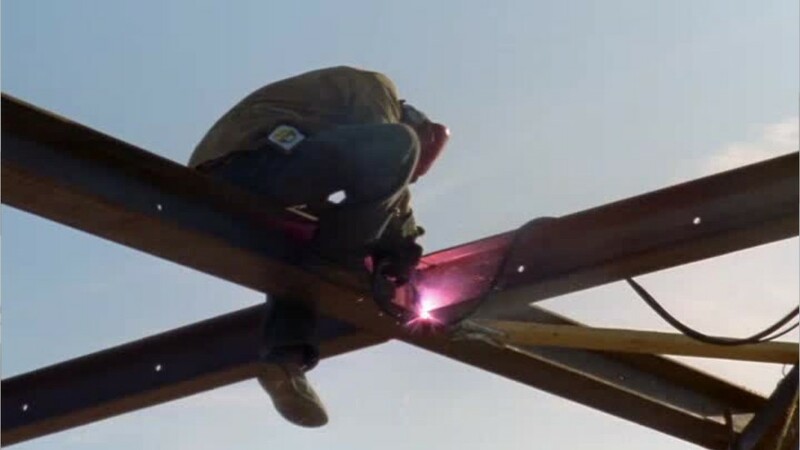 See more details at O*NET OnLine about structural metal fabricators and fitters. Structural Metal Fabricators & Fitters by U.S. Department of Labor, Employment and Training Administration is licensed under a Creative Commons Attribution 4.0 International License.